Cynthia Blanton Studio: Is this better? 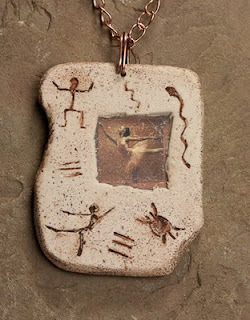 I took the photo of my pendant into Photoshop and flipped the dancer so she is facing the other direction. I think is better. It seems to have a better rhythm. I like this better too.